"Take delight in the Lord, and he will give you your heart's desires"
"As you think about setting goals for the coming year, here is a place to start: Make a commitment to learn how to apply your faith to everyday life and to become more confident about what you believe. When you pursue these goals, you'll find that the other priorities in your life will fall neatly into place because there will be no conflict between what you believe and what you do. MOP - Why we support? We believed, by giving One thousand dollars ($1,000.00) each to Missionary of the Poor and Fr. Ben Ebcas Jr.'s Orphanage Center in the Philippine is the fulfillment of Beatitudes. 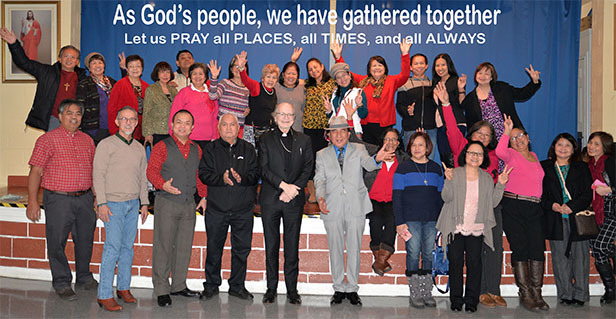 Humility aside, we also supported the Alliance of Filipino Catholic Charismatic Prayer Communities (AFCCPC), Catholic Renewal Council in Archdiocese Toronto (CCRC), "devastating typhoons "Ondoy and Katrina" in the Philippines and much support to those in need. We are not just helping get resources out; we are serving one another making real connections with people across the world. We are investing in the instruction of God's Word and in transforming lives for eternity. It is our joy to bring the Gospel of Jesus Christ and worship HIM with our giving. Let us honor God with our giving and sharing!!! Our faith grows bigger and vaster every day. God provided money to the FCCCPC and by sharing our faith in giving which binds us to show our trust in Jesus Christ. It was an opportunity and responsibility to us, a Christian to respond to the call of the poor, forgotten and most rejected.